What is the meaning of the shirt that fits? We usually get the answer: fits on the body and sleeves are long enough. That is a shirt that you can wear, but a good fit has a whole list to it. Collar – if you want to use it closed, make sure it is not too small, but did you know there is a limit to how loose it should be? One finger should fit into a closed collar. This way, it doesn’t strangle you and it will not bunch up at the same time (especially if you wear a tie). Sleeves – if you do not have the longest arms, the usual problem is that the sleeves are too long and too wide. Not many complain about that, but the truth is that if you wear a fitted suit – removing that excess fabric means feeling more comfortable. Body – the most important bit is the shoulders. A lot of men are so used to the stock fit they think it is normal to have your shoulder seam going over the shoulder points. It is not a good look and once you know it you might need to make changes to your whole wardrobe. different on the waist, bespoke shirt is their best option. We take care of the fit part and you get to do the fun part! Not only do you get the perfect fit, you also get to choose your preferred collar, cuffs and front style. Most importantly, we introduce you to a wide range of quality fabrics: plains, checks, stripes, patterns, single colours, and multi-colours – you name it! This is how you become a designer yourself. Don’t fancy this role? Then you have professionals who are full of ideas and great tips to advice. 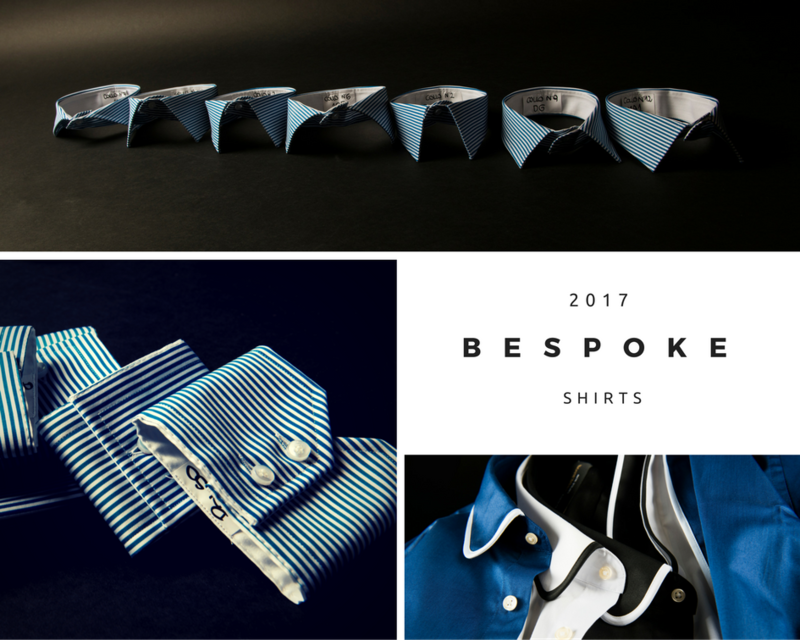 For those who managed to get this far, we offer you:buy three bespoke shirts and get one free for whole March. Simply mention reading this article and we will apply this offer for you. We already have a limited shirting edition SS’17 available in our store! I like this article. I didn’t know the thing about shoulders. Very useful tips if I decide to buy some.